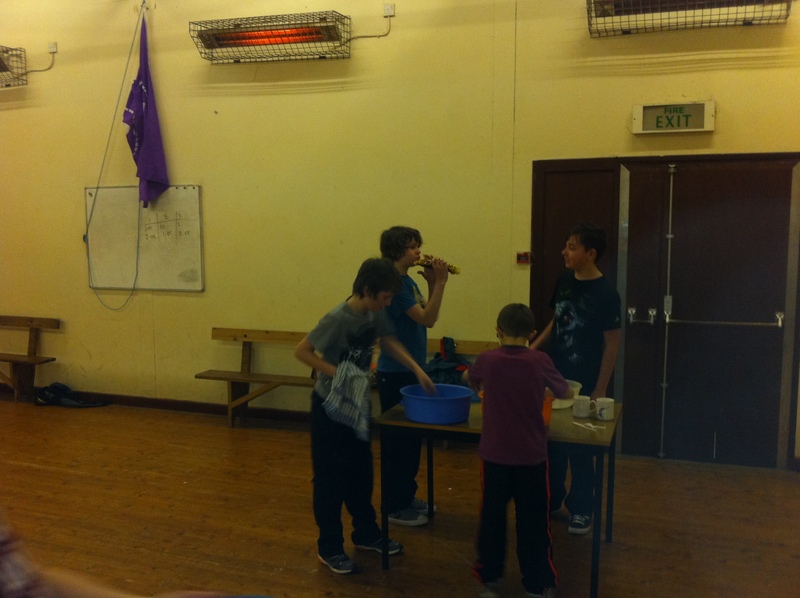 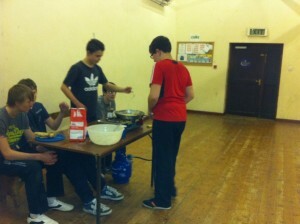 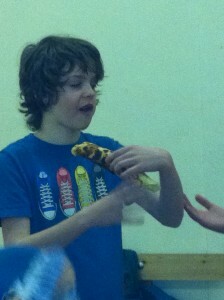 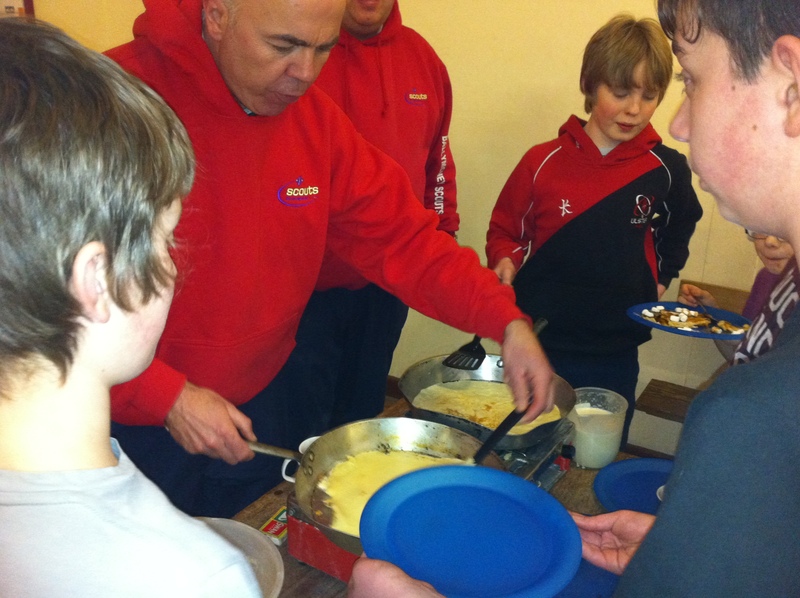 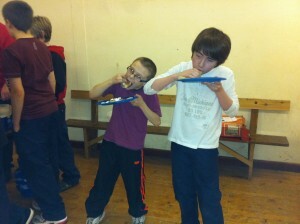 Friday night past saw the Scouts and Explorers taking up the challenge of cooking pancakes. Each patrol cooked their own pancakes and then had the choice of their fillings – chocolate spread, marshmallows, jam as well as the conventional lemon and sugar. Once cleared away it was time for the traditional pancake relays.